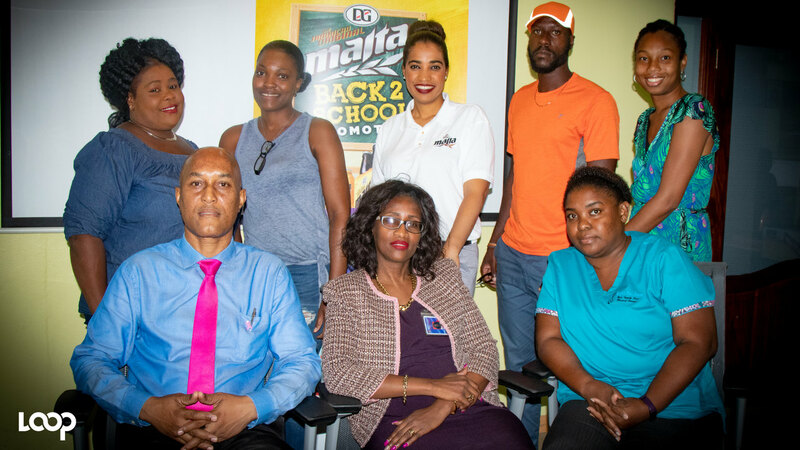 Another set of weekly winners in the Malta Back-To-School summer promotion were presented with their prizes Wednesday morning at the brand’s Spanish Town Road, Kingston office. 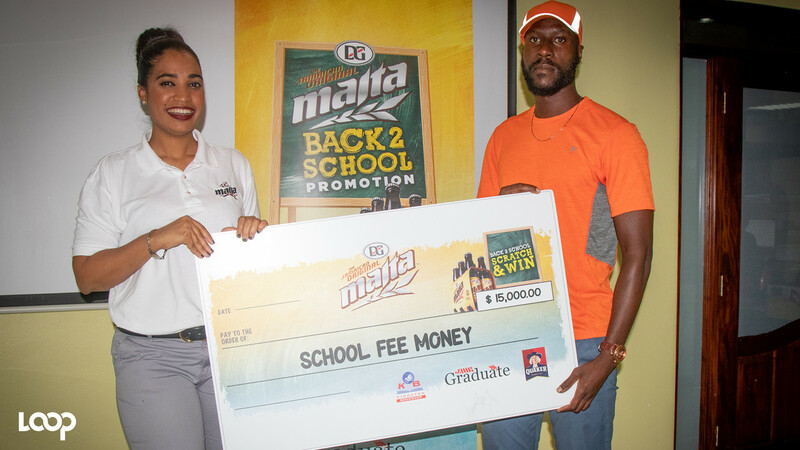 The competition started on August 6 with varied prizes, geared toward back-to-school. Prizes presented Wednesday ranged from laptops to $50,000. According to Malta’s Assistant Brand Manager, Ellisse Campbell, the promotion has already exceeded expectations. Campbell said, “everybody has a different time when they enjoy Malta as they use it for a food supplement sometimes or when they are rushing and on the go, but they know that Malta always has their back. “We have over 6,000 entries so far, which normally happens when promotions start. We wanted to have it for a longer period, because we wanted to make sure that everybody has a chance to win and for me, I prefer a lot of people winning, than one person. “I feel that every bit counts and then coming into October, we know that individuals will want to top up again because back-to-school depleted them in August and September,” Campbell said. 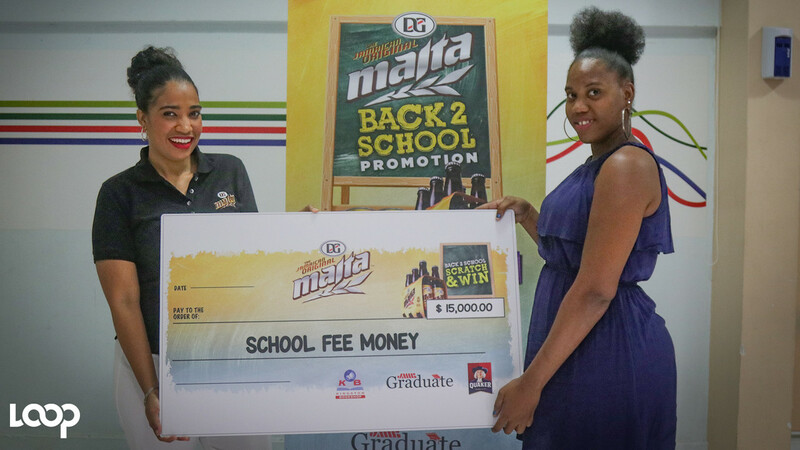 The promotion involves the purchase of a six-pack of Malta at any supermarket islandwide, before visiting the Malta website to enter. Quaker, Kingston Book Shop and JMMB are associate sponsors. Weekly prizes include $15,000 cash and $15,000 book vouchers from Kingston Bookshop. 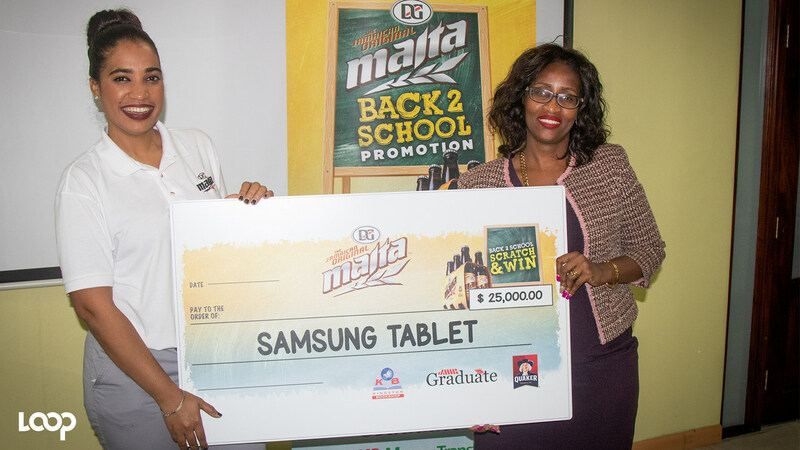 In the end, there will also be five winners of laptops, 10 winners of tablets and a tertiary education prize of $50,000 from JMMB. Weekly prizes will be placed on Malta’s website. 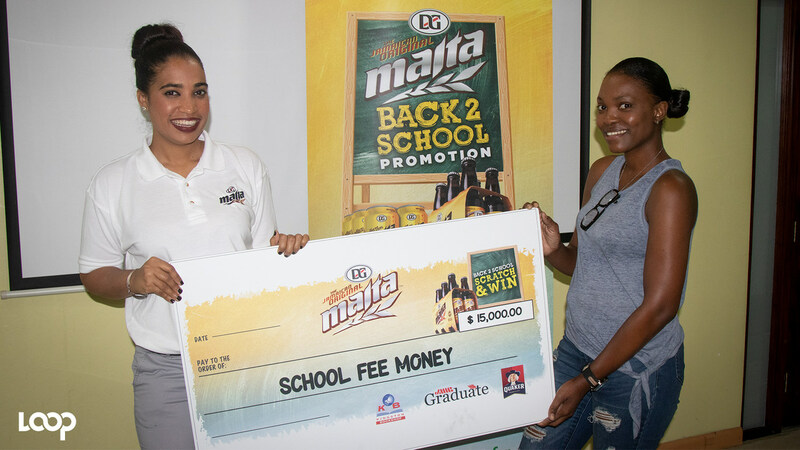 According to prize winner Latoya Sutton, who purchased her six-pack Malta at PriceMart, the $50,000 she won will be a recoup of the money she spent to prepare her 11-year-old niece to return to school in September. Although not considering herself lucky, she beamed with pride of winning her second promotional event, as she said she has already won a trip to Atlantis from FAME FM. She said, “I am not exactly lucky. I usually do enter a couple of these things, but most times, figure nothing is going to come of it. “The money is recouping back-to-school expenses because I took care of my niece’s back-to-school expenses. She goes to Cockburn Gardens Primary and Junior High and we are in PEP preparation mood,” Sutton said. 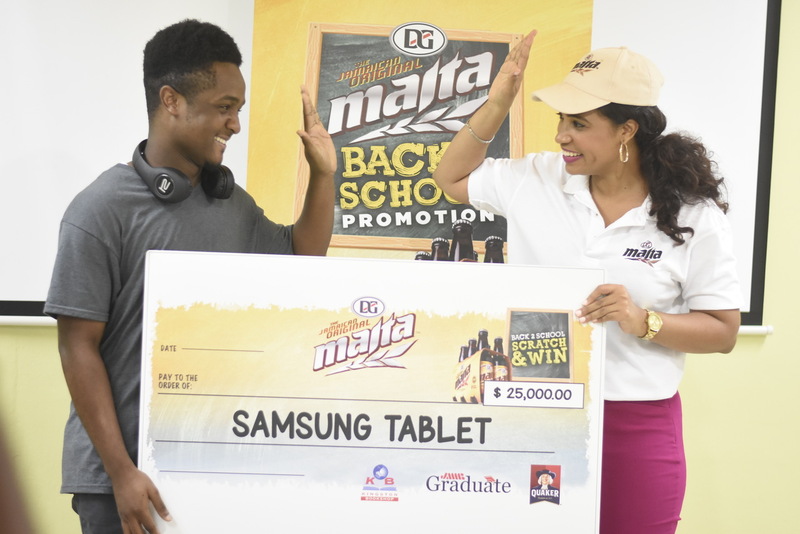 The son of tablet winner Andrew Chambers is also preparing for PEP and will benefit from the prize, according to Chambers, who purchased his six-pack at Joong’s Supermarket in Portmore, St Catherine. “I am going to give it to my son. He is 10 years old,” said Chambers about the grade five student at Bright Beginnings Preparatory in Portmore. 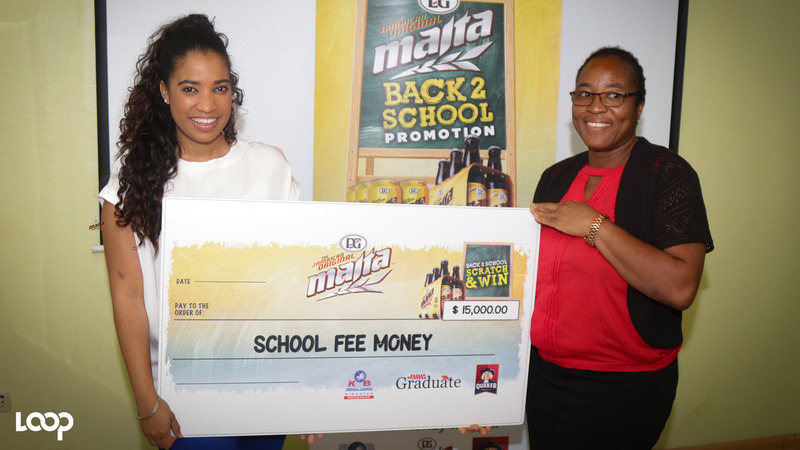 Kaydiann Vanriel purchased her six-pack at McMaster in Portmore. She will be using the $15,000 won to help her son, who is attending St Richard’s Primary, and daughter, who is partly hearing impaired.